Hotel Krishna Niwas The Heritage House is one of the best hotel in Mount Abu and an ideal choice for anyone who is looking for a heritage property in budget rates. It is nearby from the very famous Nakki Lake of Mount Abu. This hotel was built in 1924 and renovated and maintained in the later years. It is built in colonial style and it echoes the heritage culture of royal Rajasthan state as well as the Indian culture. This might be a heritage property but it has all the modern amenities for their guests’ comfortable stay. This hotel in Mount Abu is very much popular and most preferred by the leisure travelers, family or friends groups as well as honeymoon couples. 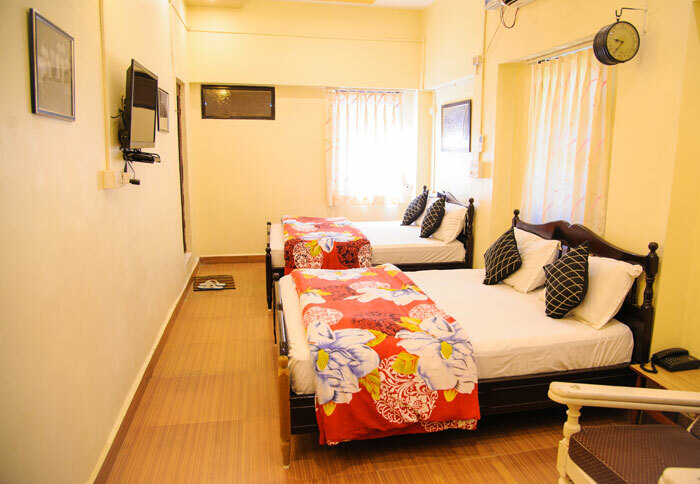 The wide choice of residential accommodation like a hotel and the tranquil ambience of the resort make it a great place to enjoy a relaxing holiday in the company of your loved ones, making it one of the best family hotel in Mount Abu. Its historical background and infrastructure add to the beauty of the positive vibrations to the cool breeze in the surrounding atmosphere. one of the most relaxing resort in Mount Abu, with the awesome combination of fantastic location and warm ambience, which defines the luxury and leisure available there. It is built in such a style that it has merged the true essence of colonial era with a modern outlook, thereby enhancing the opulent experience for a traveler, which makes it out standing luxury resort in Mount Abu. You will feel like a home away from home with the warm amenities, ambience and homely taste food made in the hotel’s own restaurant. Because they have tried hard to meet the hospitality standard, keeping the heritage intact, making it one of the top heritage hotel Mount Abu. 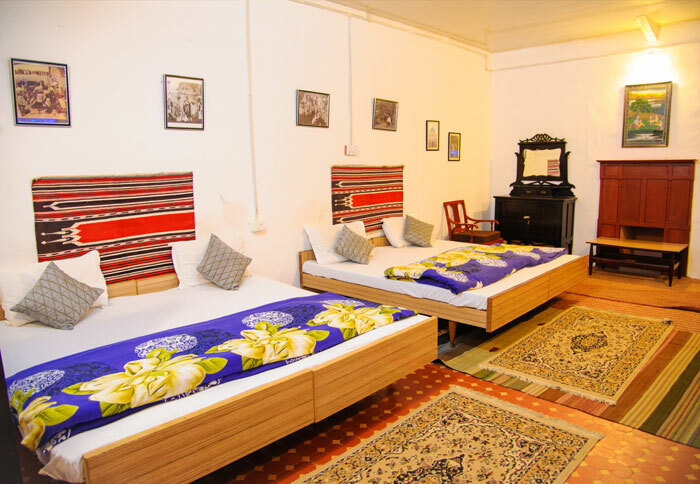 Krishna Niwas Heritage House, one of the best hotel near Nakki lake in Mount Abu to choose from, for a luxurious and memorable vacation days with your friends, family or loved ones. It is designed for providing a relaxing and invigorating experience to its guests. And with this it has raised the bar of lavishness and comfort, and sent it to a new level altogether, keeping the higher rank among top 10 resort in Mount Abu The wide varieties of ultra luxurious amenities are available for visitors including family, friends, and couples to enjoy the unparalleled beauty of Indian colonial style architecture and royalty. This hotel in Mount Abu has magnificent atrium and also provides a great view of the surrounding nature. It is a vibrant and lovely place to spend your holidays with your loved ones in utmost royal comfort with beautiful atmosphere around to breath in the cool aroma of the nature. stay at Hotel Krishna Niwas to collect lifelong memories to cherish for. Hotel Krishna Niwas the Heritage House is so comfortable, cozy and relaxing that after time spent outdoors in and around Mount Abu, you can refresh yourself with a nice rest in your relaxing holidays. Calm and soothing ambience would definitely make you stay there again and again whenever you will plan a trip to Mount Abu. © 2019 Krishna Niwas. All rights reserved.